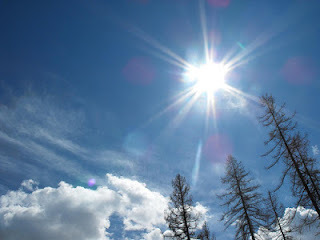 I’m linking up with Susanne at Living to Tell the Story for Friday’s Fave Five, where we recount the week’s blessings. 2. A cookbook and blog I discovered. The book is called The Smitten Kitchen Cookbook, and this magical link will take you to a wonderful recipe for Cinnamon French Toast. It’s a great book and blog. Cook and author Deb Perlman works in a tiny kitchen and believes you can cook up some great stuff without obscure ingredients. I checked the book out of the library, and now I want my own! 4. A wonderful book by an awesome writer and friend. 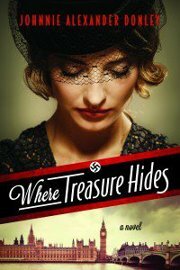 Tyndale Digital First has recently released an awesome ebook of Where Treasure Hides by Johnnie Alexander Donley. It’s on sale for only $1.99 until February 17th, and it’s worth much more. What a great story – get it for $1.99 while you can! And visit my friend Johnnie on her blog, Treasured Moments. And a bonus I have to mention here. My writer friends, Kindred Heart Writers, are such a blessing to me. I’m working on getting a novel ready to release as an ebook, and Johnnie, Jeanie, Karen, and Clella have all read and proofed it for me and have lent incredible support and enthusiasm. They were invaluable as I prepped I’m Outnumbered, too. We met at a writers conference and not a day goes by that we don’t all connect on email. We proof each other’s work, we write devotions for the group, we share, we pray. They’re a real blessing. (Thanks, Faith.) Our winter in South Florida isn’t much, but I’m sure some of you are ready to drive your winter away. I just love the image of laughter as the sun, driving away gloom. your friday posts always make me smile. and a great metaphor always makes me swoon. thanks, laura! I know what you mean about #1. Our desktop crashed, and though I am glad for my laptop, there are so many things I can do on the desktop that I am used to, and it's gets frustrating not to have those. I do have Word, but there are files and other features on the desktop I can't get to. Hopefully hubby can work on it this weekend. How sweet to have surprise Valentiney things in your classroom! Thanks for the heads-up about the book! Laura, thanks for the shout-out for Where Treasure Hides. I think I read that Victor Hugo quote -- or something very similar -- in Les Miserables yesterday. Laura, I love that quote "drives winter from the human face." I also love Johnnie's book-so good! Thanks dear friend, you are the blessing! I THOUGHT I recognized that Hugo quote! :) I LOVE it. and yay...here in NY we have had THREE nice sunny days right in a row!! WHOO HOO! I love that your hubby surprised you like that...how awesome and what a great role model for the guys in the class :) ENjoy your weekend!! How very sweet of your husband ! I forgot (as usual) Valentine's day, but Mr. G. had bought me a little cat statue ! Valentine's was not well known in the past and we never celebrated it. Love that quote. We've had about enough winter here in New Jersey. How thoughtful and clever of your husband! I will have to check out that blog and cookbook. I collected cookbooks until we ran out of space for them. I may have to check out the cookbook! I love them! How sweet of your hubby! I love when I get surprises. SO happy for your friends and their books!! And great quote! Can totally relate to the missing something. When it's gone thing. My computer is in the shop. So glad I can use my kids' but I am so missing my email address book, my files, and my bookmarks! Love the quote too. I've had the "lack of word" problem as we have switched computers out recently, ugh! It does frustrate me a little how expensive it is! Love your quote, its very true! Isn't Smitten a fun blog? I love it, even if I don't make the recipes ;-) Enjoy the cookbook! Glad your Word is back -- having your oft-used tool out of reach is frustrating!